Simmering Potpourri makes a great homemade Christmas gift or hostess gift to give to family and friends.The best part about this gift is it’s easy to make. Do you need a last minute gift for someone this week? 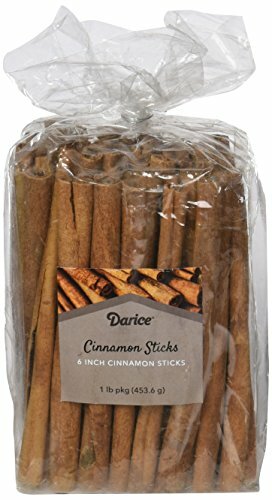 Or maybe you need a few hostess gifts to bring to Christmas celebrations and parties over the next two weeks? 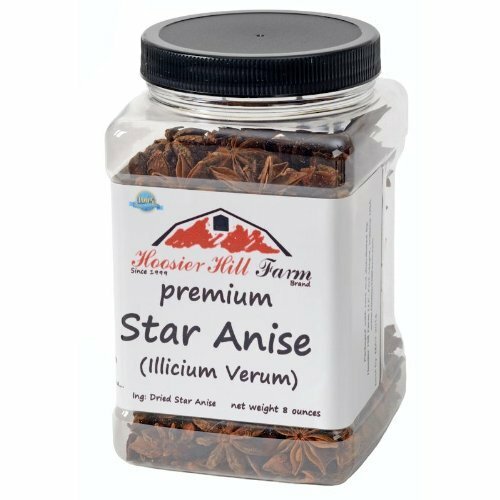 Your friends and family will love this gift idea of simmering potpourri and your house will smell amazing as you dry the fruit and your house will smell like Christmas as you use the simmering potpourri in your home over the next few days. 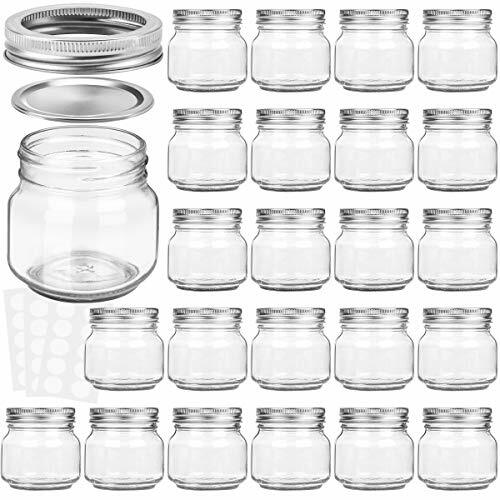 Yes…make sure you keep a jar for your home! 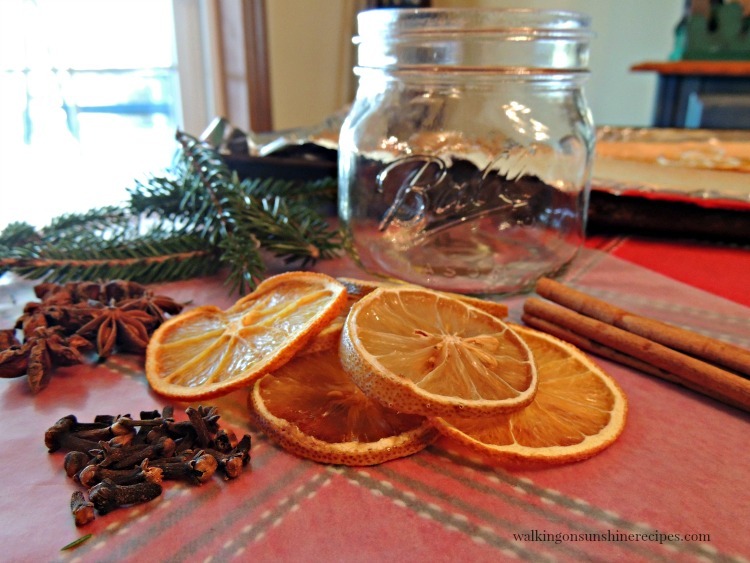 Ribbon or Raffia and Gift Tags – make sure you include directions on how to use the simmering potpourri. 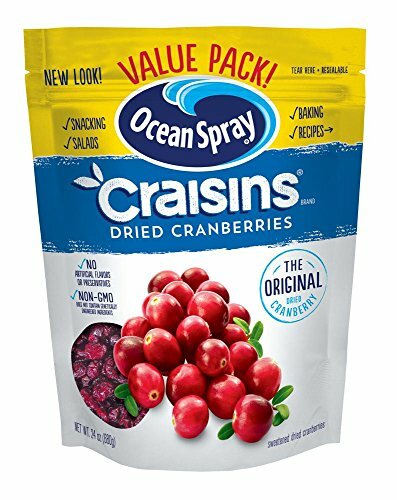 Dried Cranberries – I used a prepackaged brand from the grocery store. Pine Branch Clippings – take a walk outside and gather a few pine twigs! 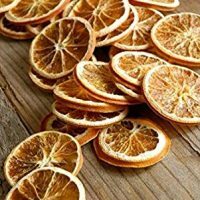 Drying fruit is very easy. 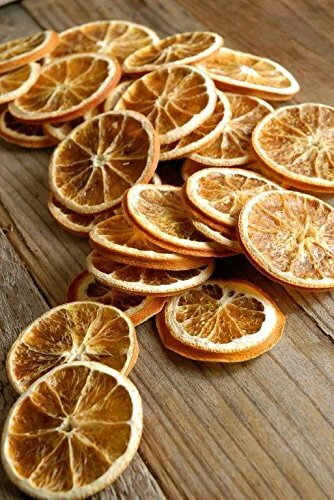 Citrus fruits like oranges and lemons are perfect for this homemade simmering potpourri because they retain their shape and color when they dry. 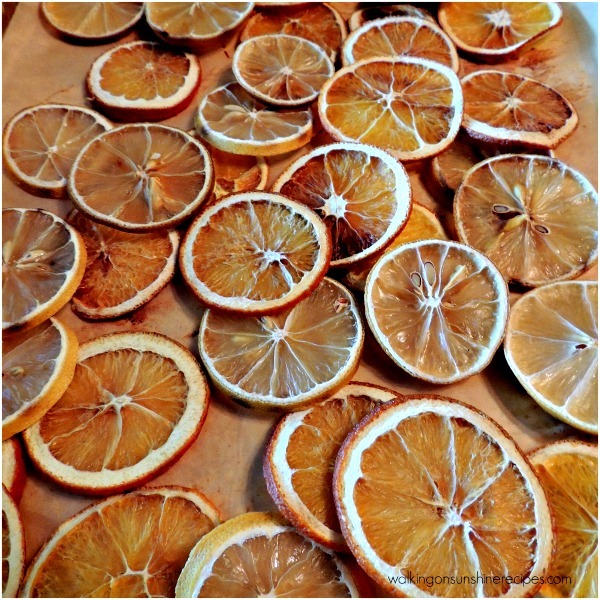 Oranges and lemons also look so pretty when they are completely dried. They make great ornaments if you have a Christmas tree in your kitchen. I also like placing them in a bowl on the kitchen counter. If you can’t make them on your own, you can always purchase them at craft stores or even online at Amazon. Cut the fruit into thin slices. Place the fruit on baking trays lined with parchment paper or you can put them on a rack on top of a baking tray. Place the trays in the oven set to 200 degrees and bake for about two hours turning the fruit halfway through. Once the fruit is dry, lay the fruit flat on a surface overnight. 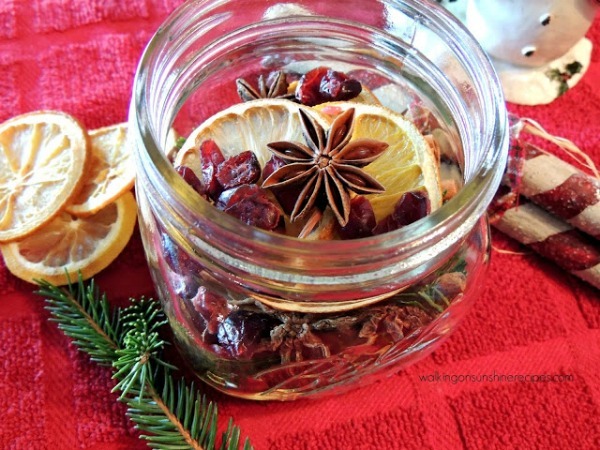 You want to make sure the fruit is completely dry before you package them into the jars for the potpourri. 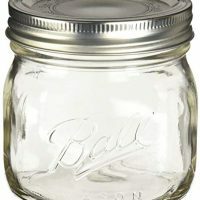 Place the pine branches first in the jar. 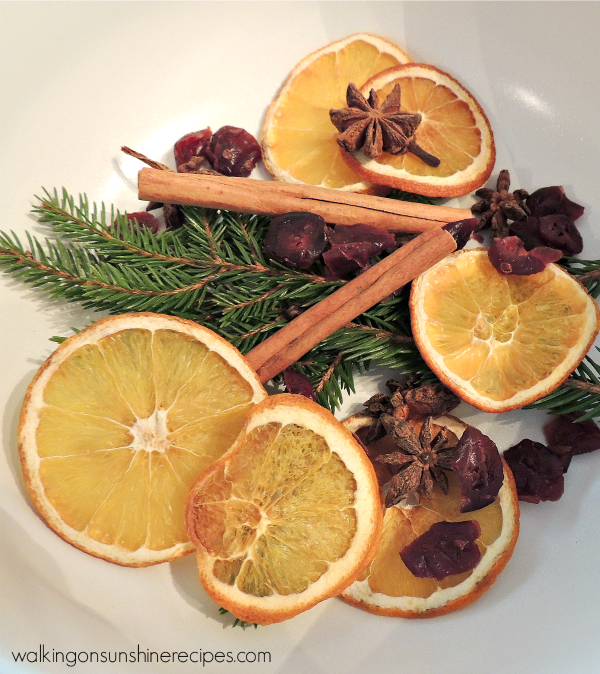 Then add the cinnamon sticks, whole cloves, star anise, dried cranberries and the dried lemons and oranges. 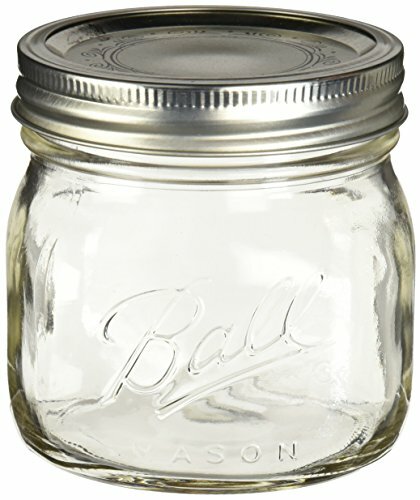 Add the mason jar lid and ring. Tie pretty ribbon or raffia around the jar. Place the ingredients of the jar in a small saucepan. Fill the saucepan with water and place on the stove with a small flame underneath. Make sure you check the water level frequently while it is on the stove. Please Note: It’s very important that you make sure the water does not evaporate completely while you are using the potpourri. 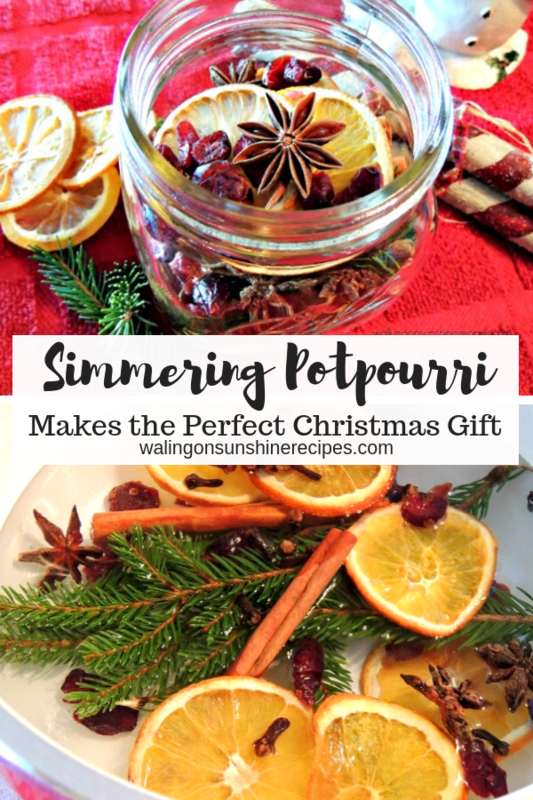 Simmering Potpourri makes a GREAT Christmas Gift Idea! 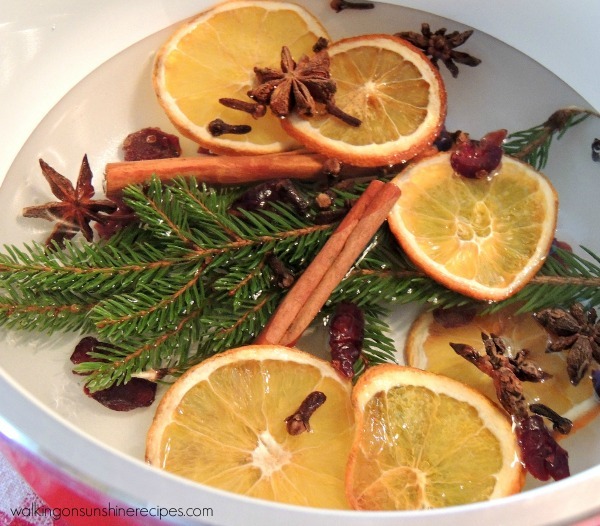 Simmering Potpourri makes a great homemade Christmas gift or hostess gift to give to family and friends.The best part about this gift is it's easy to make. 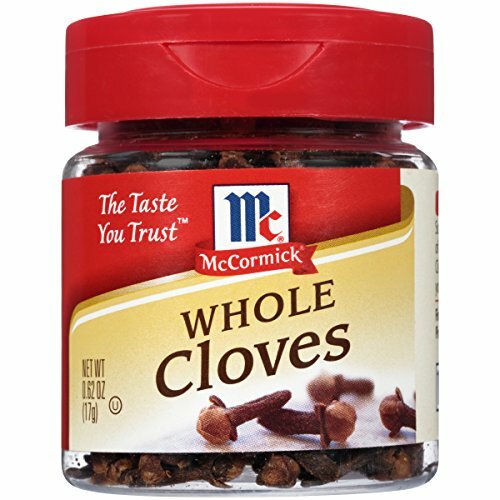 •	Dried Cranberries – I used a prepackaged brand from the grocery store. It’s very important that you make sure the water does not evaporate completely while you are simmering. Please make sure you include a note with instructions on how to use the potpourri. Also include in the note that it is very important that the water does not evaporate completely while you are simmering the potpourri. 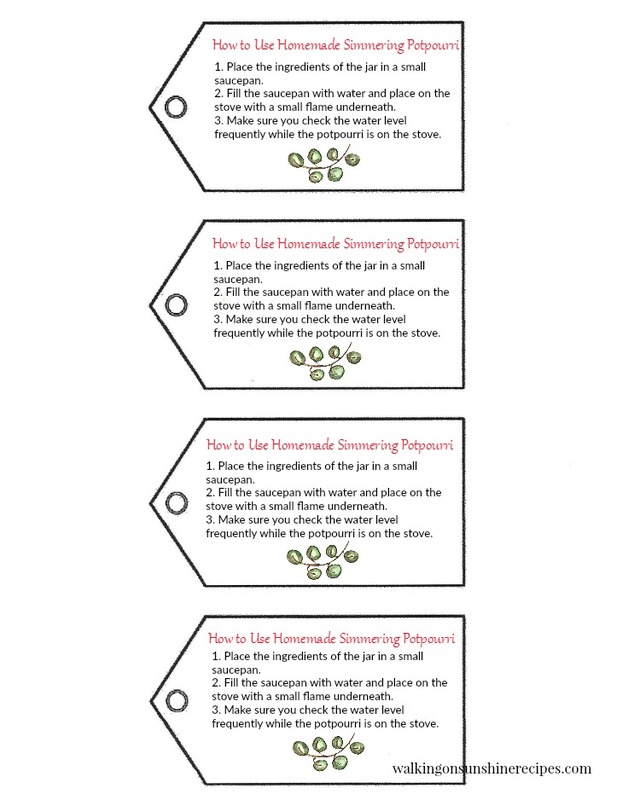 Print these FREE Gift Tags out, punch a hole in the top and add them with a ribbon on the Simmering Potpourri Jars to give us gifts! Love this idea for homemade gifts! Thanks for linking up to Merry Monday! Pinned & Sharing on FB! Have a great week! I can’t wait to try this. Checking my grocery store and/or ordering online later today. 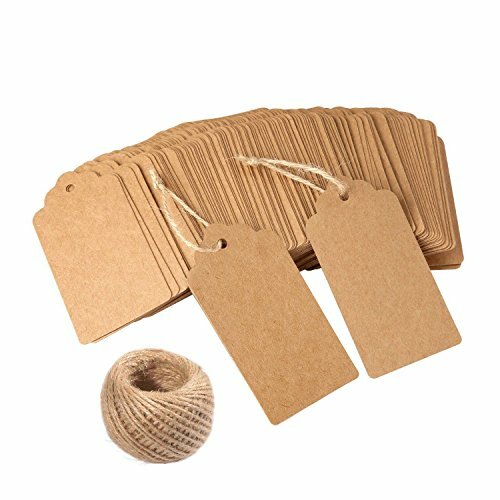 Thanks for including to tags.